Law Offices of Shahin Motallebi is located in the city of Los Angeles, providing our clients with the best legal solutions for Estate Planning, Immigration, Probate, Family, Criminal, and Business Litigation related matters. At the Law Offices of Shahin Motallebi we are committed to solving clients’ legal problems, including, but not limited to Immigration and naturalization, criminal, employer/employee relations, corporate, commercial, business, and real estate. 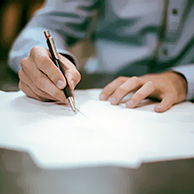 Our Estate Planning services include creation of revocable and irrevocable trust documents, trust administration, asset protection, and all probate matters, including will contests. Our Immigration services include Citizenship, Deportation Defense, I-526 Investor Visas, employment and family based visa petitions, labor certification, treaty investors, and asylum applications. 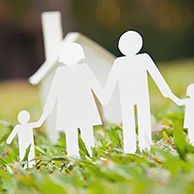 Our Probate legal services include wills, living trusts, and power of attorney. 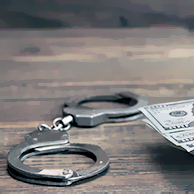 Our Criminal Law services cover all misdemeanor and most felony charges, including D.U.I., drug possession, and assault. From pre-nuptials to custody arrangements and more, our Los Angeles Family Law Attorneys have you covered. Our Business Litigation services include contract disputes, corporate and partnership issues, shareholder suits and other related matters. Call the Law Offices of Shahin Motallebi at (310) 268-1685 today, and let us fight for your rights. Rest assured that your case will be handled with the utmost care and professionalism that it deserves. Our immigration attorneys help individuals who are in the U.S. to extend or change their non-immigrant visas, or adjust their non-immigrant status to permanent residence (“Green Card”). We help U.S. and foreign businesses obtain immigrant and non-immigrant visas for their executives and/or employees. 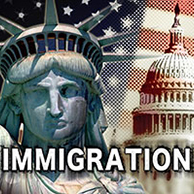 We also help U.S. permanent residents with their naturalization process. We also represent clients in Immigration Court who are facing deportation. Give us a call today at (310) 268-1685 to discuss your case. U.S. Immigration laws are very complex and technical. A small mistake can ruin your chances of entering or staying in the United States. You should have a professional and knowledgeable immigration attorney working on your side who understands the specifics involved with the immigration and naturalization process. At the Law Offices of Shahin Motallebi we fully understand the laws, and what it takes to get you through the process as quickly and efficiently as possible, minimizing delays along the way. If your loved one has passed away recently, California and Federal laws require you to perform certain acts. In order to perform those required acts, you need an experienced Probate Attorney by your side. We can help you navigate the ups and downs of California probate laws quickly and efficiently. Our services include probate of Will, intestate administration of estates, will contests, and all other related matters. We can help you locate, notify, and negotiate with deceased’s creditors. While no one wants to think about his or her demise, it happens to all of us, sooner or later. If you have minor kids, you need to appoint another person as guardian in case something happens to you and your spouse. If you have real and/or personal property, you need to decide how, when, and what percentage of your hard-earned assets should go to your beneficiaries. Our professional and knowledgeable Estate Plan attorneys help you create the best plan for yourself and your loved ones. We can also help you protect your assets from creditors, bankruptcy, court-judgment, and other threats to your financial well-being. 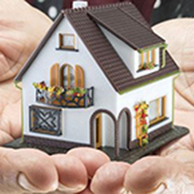 By establishing irrevocable trusts, family limited partnerships and other asset protection techniques save and transfer your assets to your loved ones. We also prepare Advanced Health Care Directives for you and your spouse as part of our estate planning services. You decide who is going to be in charge of your medical decisions if you aren’t able to make them on your own. Our estate planning attorneys will spend as much time as needed with you to make sure that you are confident in the choices you make. Our goal is to walk you through the process and make it as simple as possible. Don’t wait until it is too late to begin planning for your estate. Do it now and save yourself a lot of hassles down the line. Building up your business and making it successful takes a lot of time and hard work. You spend countless hours making sure everything is working like it should, and making sure your customers or clients are being taken care of, every step of the way. However, there are things that go wrong, and things that you simply cannot control. You don’t want to lose everything because of something bad that happened. Let the professional and knowledgeable business litigation attorneys at the Law Offices of Shahin Motallebi help you understand the legal issues you are facing, and help you find the best solution to your problem. Our goal is to find the most cost-efficient and least time-consuming resolution for your legal issue. If you decide to reach a settlement with the other party, we will negotiate the best settlement possible for you and your business. Do not ever represent yourself in criminal cases. Do not agree with the first plea offer you get from the Deputy District Attorney or from the Deputy City Attorney. Regardless of what the situation might be, you don’t want to try and handle your criminal case on your own. If you are charged with a crime, do not appear in court without an experienced and knowledgeable criminal attorney by your side. When you get married, you expect the marriage to last forever. Unfortunately, more than half of all marriages end in divorce. Manner of division of assets, amount and duration of spousal support, custody of children, child support, and other issues have to be decided either by you and your spouse, or by the Family Law Judge. 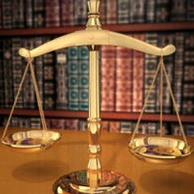 You need a fair and knowledgeable family law attorney by your side to protect your interest. You need someone who fights for your legal rights, and prevents the other side from taking advantage of your kindness.